The first quarter on the bottom could see a matchup between upperclassmen with #1 Jarod Kadel (Columbus Community) and #5 Jacob Mielke (Pocahontas Area). The bottom portion includes #6 Colby Lillegard (Bondurant-Farrar) and #8 Sam Nelson (Clear Lake) who comes in off of a district win over #4 Abben. Both these guys will get tested in the opening round from Johnathon Erp (Red Oak) and Johnny Hua (MOC-Floyd Valley) who both spent time in the rankings this season. The top half of this bracket only features 3 ranked wrestlers but the top 2 are both up here. 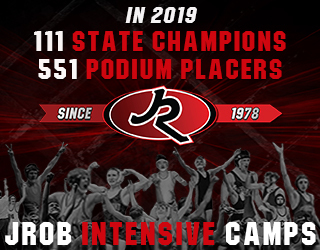 At the top of the bracket is defending state champ and #1 ranked Grayson Kesterson (Williamsburg) who will get a good test from #8 Ryan Clark (Mt Vernon). In the next quarter #2 Andrew Flora (ADM) will be a heavy favorite to reach the semifinals. Flora versus Kesterson in the semis would be a great bout that many thought would be the finals. The top portion of the bracket could feature a fun rematch between #6 Jack Gaukel (Sergeant Bluff-Luton) and #7 Zeb Gnida (Solon) which Gaukel won the first time around. The next portion will feature a first round matchup between #3 Kaden Anderlik (Crestwood) vs #10 Carson Babcock (NHTV, New Hampton) with the winner likely facing #2 Drake Doolittle (Webster City) for a trip to the semifinals. We will get a good first round match between #5 Caleb Fuessley (Center Point-Urbana) and #9 Bryce Hatten (Winterset). The winner could face #8 Kurtis Krager (OA-BCIG) in the quarterfinals who will get a solid test from Walker Ikerd (Washington) in round one. On a collision course in the bottom quarter are #1 Aden Reeves (Albia) and #4 Jack Thomsen (Union, Laporte City) who has been red hot late in the season. #1 Eric Faught (Clear Lake) will get tested in his opening bout by #7 Hunter Pfantz (West Marshall) with a solid John Crowley (Tipton) likely waiting in the quarters. The next quarter final could be a great bout between #3 Phillip Ihde (Decorah) and #4 Jalen Schropp (Williamsburg). #2 Shea Ruffridge (Pocahontas Area) will be tested by #8 Mason Cleveland (NHTV, New Hampton) in round 1. The winner will likely get #6 Morgan Rowley (Anamosa) in the quarter final bout. The bottom will feature a fun first round bout between #9 Carter Weeks (Vinton Shellsburg) and #10 Kole Hansen (Atlantic). The winner will likely face #5 Kayden Kauzlarich (Centerville) for a trip to the semifinals. #9 Chase Luensman (Monticello) will get a tough test in the opening round from Trey Lawrence (Southeast Valley) with the winner likely seeing #6 Chase McLaren (Atlantic). #4 Gabe Ruepke (Chariton) will have a tough first round match in Max Babcock (NHTV, New Hampton). The winners reward will be a quarters match against defending state champion and #2 ranked Matt Robertson (Davenport Assumption). 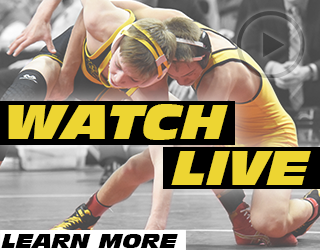 We will see a fun first round match between #3 Gable Sieperda (Central Lyon GLR) and #8 Jack West (Winterset) with the winner likely facing #7 Carson Hartnett (Webster City) who has been wrestling great since dropping to 132. In the bottom portion #1 Will Esmoil (West Liberty) will get a good opening test from Luke Radeke (Vinton Shellsburg) who was ranked much of the season. The winner should face #5 Brady Fritz (South Tama) for a trip to the semifinals. #4 Tanner Probasco (South Tama) is the clear favorite in the top quarter here. He will face the winner of a rematch between Kruise Kiburz (Winterset) and Cam Rice (Columbus Community) which Rice won earlier this season. #2 Jarrett Miller (Ballard) appears to be the clear favorite in the bottom quarter of the bracket but could see #10 Adam Hansen (Center Point-Urbana) in round 2. The top half of this bracket includes the top 4 ranked kids at the weight. #4 Mitchel Swank (Creston, Orient Macksburg) and #9 Colton Vest (South Tama) face off at the top of the bracket with the winner likely facing #2 Tanner Abbas (Clarion-Goldfield-Dows). The next quarter final will likely pit #1 Noah Fye (NHTV, New Hampton) against #3 Ryan Steffen (Cresco, Crestwood) who have a long tradition against each other. Fye missed significant time late in the season due to injury but has cruised through sectionals and districts since his return. With all of those guys on the top side it really opens up this half for someone to make a run to the finals. The top quarter could see #7 Joey Busse (Humboldt) take on #8 Klayton Keller (Saydel). The bottom quarter looks like it could be #5 Austin Rozeboom (Boyden Hull/Rock Valley) against #10 Jake Recker (Beckman Catholic) who will be tested first round by previously ranked Scott Betterton (Vinton Shellsburg). The highest ranked wrestler on the top half is #4 Mitchel Mangold (West Delaware) who will face a good test in round one from #10 Luke Rohmiller (Webster City) with the winner likely facing #6 Baylor Crigger (Camanche) in the quarters. Another ranked first round match will have #5 Kyler Rieck (Spirit Lake Park) vs #9 Caleb Swalla (Van Meter/Earlham) with the winner likely facing #7 Nolan Harsh (ADM). We will likely get to see #2 Skyler Noftsger (Ballard) against #3 Joe Kelly (West Liberty) in the quarters in a great battle of former state runner ups. Returning state champion and #1 ranked Isaac Judge (South Tama) appears to be the clear favorite in the bottom portion and should await the winner of Noftsger and Kelly in the semifinals. #2 Luke Hageman (Beckman Catholic, Dyersville) has had bad luck the last few years with tough district draws. This year he gets to state and draws #3 Wes Cummings (PCM Monroe) in the first round. The winner of this match appears to be the clear front runner for a berth to the state finals. 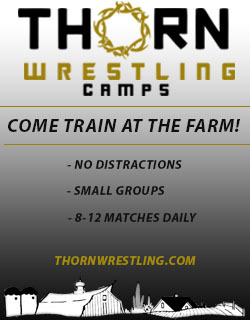 #6 Zach Williams (Osage) is the only other ranked wrestler on the top half of the bracket. #7 Colter Bye (Cresco, Crestwood) faces #9 Luke Martin (Bishop Heelan Catholic) in a fun round 1 match with the winner likely facing 3x Louisiana state champion and #1 ranked Josh Ramirez (Dubuque Wahlert) in the quarter finals. #8 Cale Reicks (NHTV, New Hampton) faces Austin Beaver (West Liberty) in what could be a key first round match between the top 2 ranked teams in class 2A. The winner will likely face #4 Tate Battani (Ballard) in the quarter finals. #2 Kolton Bartow (Dubuque Wahlert) will face off against #10 Carter Maynes (Red Oak) in the first round with the winner likely facing #5 Tyler Zeimen (Cherokee, Washington) in round 2. Another ranked matchup on the top side is set between #3 Noah Glaser (NHTV, New Hampton) and #6 Tristan Hansmeier (Waukon). Glaser did defeat Hansmeier a couple of weeks ago at the conference tournament. #4 Tristin Westphal-Edwards (Washington) will face #7 Lincoln Coakley (Estherville Lincoln Central) in the opening round bout. Another fun opening round match will feature Paul Ryan (Mt Vernon) who ended the year ranked #5 at 160 before bumping up for the postseason against a tough Kyle Owens (Shenandoah). On the bottom of the bracket #1 Lucas Roland (PCM Monroe) will face #8 Zane Williams (Webster City) in round one. #6 Mike Hoyle (Solon) will face #10 Conner Huss (MOC Floyd Valley) in a big first round match with the winner likely facing #2 Kyler Fisher (Southeast Valley) in the quarters. The next quarter final match will likely have #7 Jarron Trausch (PCM Monroe) vs #5 Thomas Bentley (Red Oak). #4 Luke Jenness (Sheldon) will wrestle #8 Owen Grover (Beckman Catholic) in a great first round matchup. The winner will likely face #3 Ben Lee (Ballard) who is coming in wrestling his best after a little bit of an up and down season. #9 Dalton Rosenberg (South Tama) gets the tall task of facing defending state champion and #1 ranked Julien Broderson (Davenport Assumption) in the opening round. #3 Nick Foss (Harlan) faces #8 Blake Anderson (OA-BCIG) in a big first round matchup in the top portion of the bracket. The winner will likely meet up with #4 Nick Smith (Central Dewitt) in the quarters. #1 Bryce Esmoil is the lone ranked wrestler in the next quarter and should be waiting in the semifinals. #2 Cody Fisher (Woodward Granger) seems like the clear favorite on the bottom half, however, he had to injury default the district finals so his health will be a big factor in this bracket. He will get tested right off the bat with a tough Shyler Langley (Bishop Heelan Catholic) and then the winner of #9 Camron Woodley (Mt Vernon) or a really good Reldon Miller (Gilbert). The bottom quarter will likely pit #7 Josh Holub (Williamsburg) against #5 Harrison Goebel (West Delaware). Goebel does own a win over Holub earlier this season and could become the favorite to reach the finals if Fisher’s injury isn’t improved. Defending state champion and #2 ranked Jordan Baumler (North Fayette Valley) seems to have a clear path to the semifinals here. The next quarter looks like it should be a fun matchup between #4 Tyler Anderson (OA-BCIG) and #5 Areon Day (NHTV, New Hampton). #6 Hunter Crawford (Independence) is the lone ranked wrestler in the upper portion here but faces a good challenge in Chase Bellon (Knoxville) in the first round. #3 Dakota Powell (Spirit Lake Park) faces #7 James Cherry (Webster City) in a really great first round matchup. The winner should see #1 Boone McDermott (Dubuque Wahlert) in the quarter finals. We should get the match that everyone has been wanting to see in the quarter finals here between two state runner ups with #1 Cooper Lawson (Webster City) taking on #2 John McConkey (Atlantic). 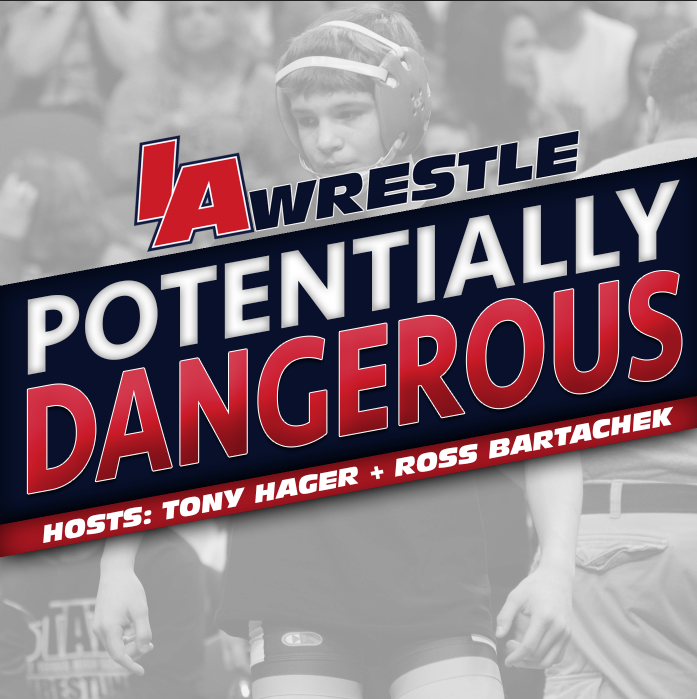 The winner of that match will be the clear favorite to make the finals.The next portion will have a great first round match between #7 Blake Bradley (Dubuque Wahlert) and #8 Jacob Knutson (Cresco, Crestwood) with the winner likely making the semifinals. #5 Spencer Trenary (Clarion-Goldfield-Dows) will face #6 Brendon Lunsford (Fairfield) in a great opening round match with the winner being the favorite to make the semis. #3 Tyler Linderbaum (Solon) could get a test from #9 Kobe Clayborne (Bishop Heelan Catholic) in the bottom quarter.